I love ANYTHING lemon. Well..pretty much anything. And, I love cake. Oh, and I can’t forget frosting…I love frosting more than cake. And the fact that I can roll all three into one little sweet treat to create Lemon Cake Pops, well excuse me while I wipe the drool from my keyboard! 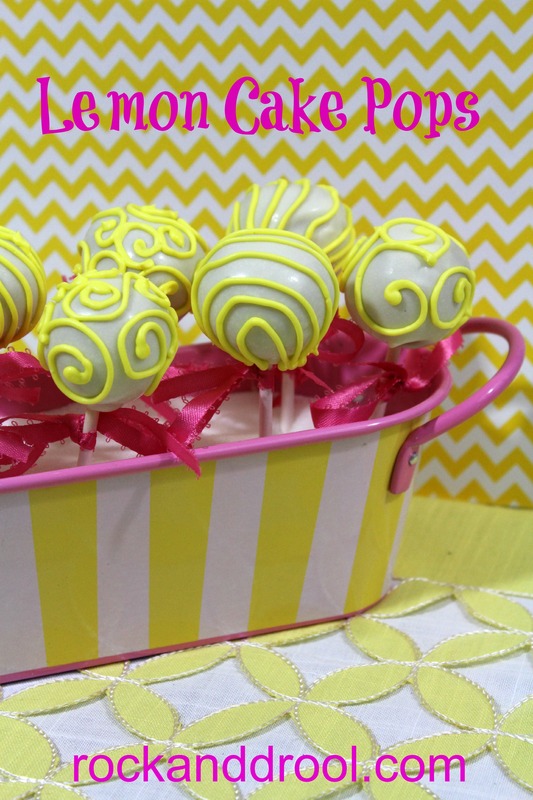 These Lemon Cake Pops are simple to make and are a definite family pleaser. I’ll be making these delicious Lemon Cake Pops often. There goes my diet. 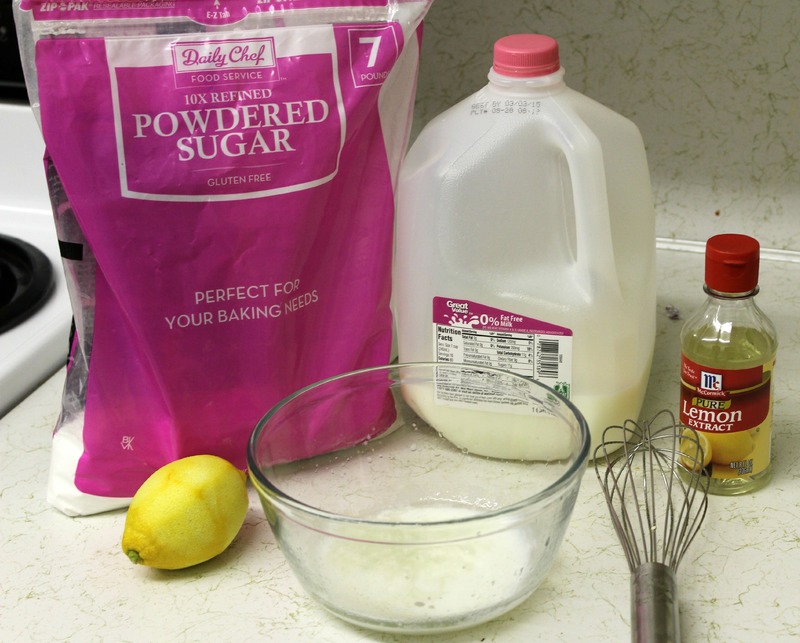 Combine the butter, lemon juice, vanilla, and confectioner’s sugar and beat until light and fluffy. 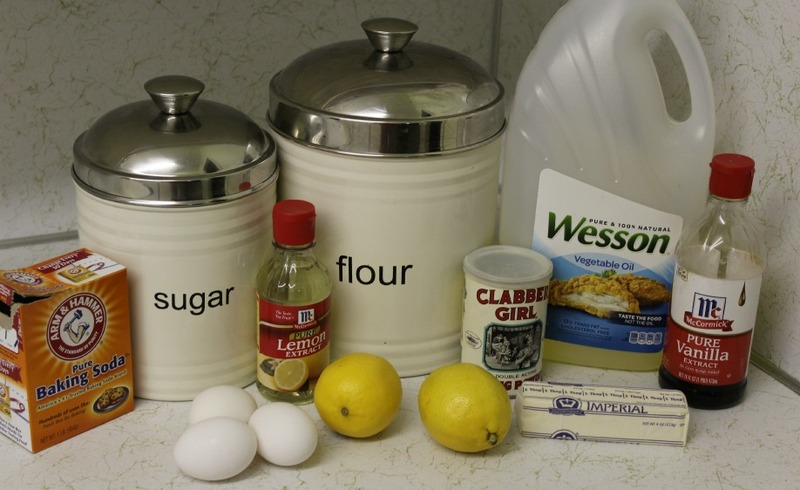 Add more confectioner’s sugar, or lemon juice to adjust the consistency as needed. Once frosting is made, take a spoon full and add into the crumbled cake. Using a spoon to combine. Add more frosting until you can form a small round ball. To form a ball take a small ice cream scoop amount and roll in your hands to form a ball. Melt White Chocolate in a double broiler or you can use a microwave. Once White chocolate is melted dip a cake pop stick into the chocolate and then push it into the rounded cake. Once that chocolate has hardened, dip it cake ball into the chocolate until fully coated.I then use a green foam found in crafts stores or a cake op holder to place my cake pops in while it dries. Have fun decorate your cake pops with royal icing in a icing bag and tip. Another idea is to roll the cake pop in sprinkles while wet…..